© 2015 Gold-Wing Ranch. All rights reserved. 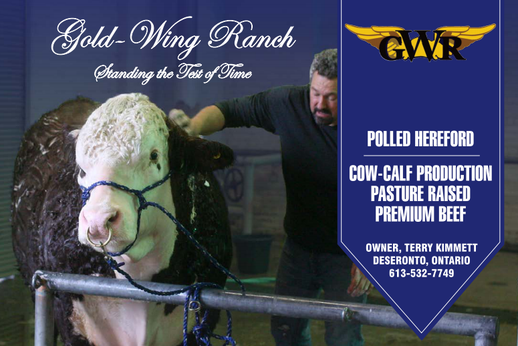 "We're only as good as our females"
"We stand behind our bulls"
Thank you for visiting Gold-Wing Ranch at our website. 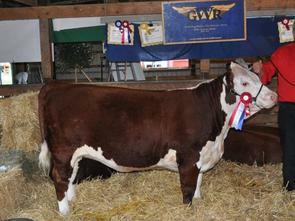 For the past three decades Gold-Wing Ranch has been making a lasting contribution to the Polled Hereford breed by operating a Cow-Calf Production with cattle that have been selected for strong performance traits as well as non-quantitative traits such as teat size, pigment, disposition and soundness. Gold-Wing’s focus has always been on balanced trait selection and we have not chased the fads of the show ring, although we have bred many show winners over the years. The main focus is on being a strong seedstock supplier for the beef industry. In celebration of the 100th Anniversary of the Royal Flying Corps. Gold-Wing Ranch was once Camp Rathbun a WW1 Pilot Training Site. 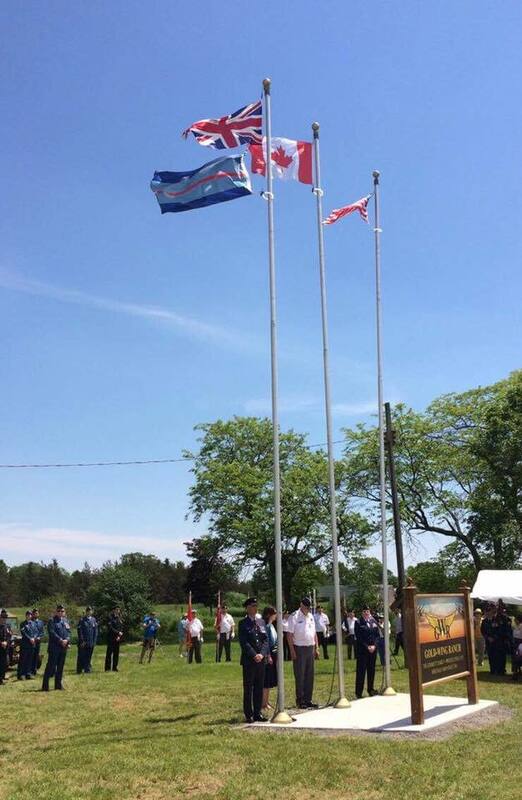 The event was tremendously successful, a great day celebrated by all. 3 Summer ¼ side Packages (steaks and hamburg) Steaks are cut 1” thick in individual packages unless small (then 2 per pkg.). 1lb hamburger pkgs. One -1/6 regular package (side split evenly into 3) One steak per pkg. with compliment of small roasts. and 1lb hamburger pkg. No hormones used. Pasture raised. Grain fed. Taking mid-summer and fall orders for sides or quarters of beef.